I was struck by these verses because Allah addresses the believers in a direct, intimate manner: ‘I am your Lord, so keep your duty to Me’, reminding us with extraordinary simplicity and stark clarity, of the truth writ large that we must acknowledge. The duty we owe to Him is to hold on to this Truth with steadfastness, and live it out in our lives by submitting ourselves to His will. The verses present a link between Unity of the Creator which is the essence and pivot of Islam, and the unity of humankind. It presents the universality of the truth embodied in Islam. The vision here is of oneness, singleness, wholeness and harmony: that there is a single truth, not versions of it. The Truth has no plurality. It is universal, unchanging, unvarying, absolute. All else which is not the truth is a deviation, corruption, distortion. It is this deviation from the truth that splinters us into sects, denominations, cults and groups. This splintering up is a distancing from the truth and an alienation from the source of the truth, i.e Allah. The healing and harmonizing comes from an acknowledgement of and submission to that truth with our hearts and souls. It is reaching this truth that liberates us from misguidance, doubt, falsehood, discord and conflict. An important insight is that the call of Islam is addressed universally and the truth it presents is forever and for all. The vision of Islam and the ideal it presents is the unity of all mankind through faith. Islam preserves in itself the pristine truth. When by honest inquiry and sincere search one removes the theological trappings that gathered over the ages, one is left with the marrow of it, the very heart: the Truth, and nothing but… this is the truth succinctly echoing in ‘La ilaha il Allah’. To me, these verses are a powerful condemnation of sectarian tendencies that use religious difference to divide and hate. They expose sectarianism as a grotesque travesty, a betrayal and a going astray. Theological and juristic debate which intensifies difference, highlights it and uses it to divide human beings must be rejected as it violates the core message of Islam: the unity of mankind through the Unity of God, to which the heart of man testifies, and which is engraved in the heart of the universe. It also teaches tolerance and keeps us from judgement of others in matters of faith, as the best judgement lies with Allah. While we acknowledge and proclaim the message of Islam as a universal call, we do not impose or coerce or hurt or unfairly judge in case of denial; against the animosity of those who reject and hate the truth, we take comfort in the fact that all is within the all seeing Eye of Allah, and He is the Best Judge between us. Without doubt, our history suggests that lack of unity, betrayal and mistrust are the reasons for our decline. Others may conspire against us but they have no power until we become fragile and vulnerable. This article briefly explains the rift amongst Ummah. Good Superb explination of Oneness of God.As it is described in all scrpitures of Mankind for unity of them. 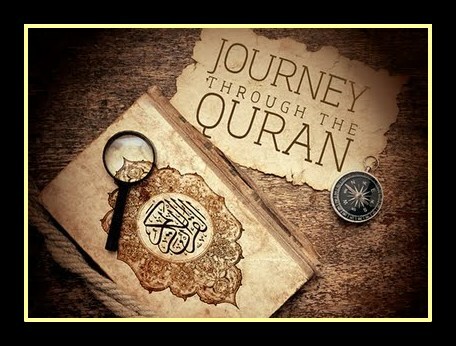 Assalamualaikum, I want to have your permission to use your picture “Journey through the Quran” in building a project community book. on “How to educate youngster to Love Al Quran As Early As Age”.